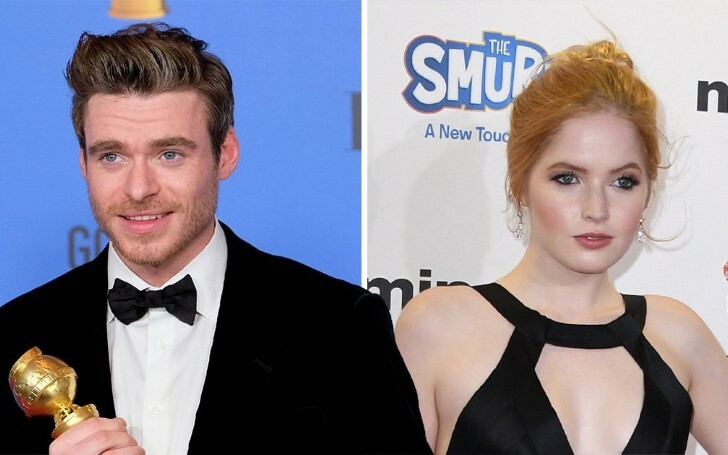 Bodyguard actor Richard Madden broke off his relationship with girlfriend Ellie Bamber after reportedly dating for 18 months. Scottish actor Richard Madden reportedly got dumped by his girlfriend of eighteen months, actress Ellie Bamber. Bodyguard actor who also appeared in Game of Thrones recently received his Best actor in a TV drama at the 2019 Golden Globes. His show Bodyguard's last season became one of the most watched shows last year. As per reports, the breakup rumors began to speculate when the 31 years old actor attended the Award show without his girlfriend, Ellie. As a matter of fact, the speculation became more suspicious when Richard thanked his team and the dearest in his speech but didn't mention Ellie for once. Various reports even stated that the couple was going through rough stages in their relationship. As a matter of fact, the two argued almost every day. Madden and Ellie's arguments started to become so huge that there couldn't be any solutions to fix their problems. "They’re both absolutely gutted but it was a decision made for the best." However, despite ending their romance, the ex-couple still hopes to remain friends. The handsome hunk met Ellie through mutual friends and continued their relationship for nearly 18 months until it became bitter now. Richard previously dated actress Jenna Coleman who appeared in the series Doctor Who. The pair broke up in 2015. Likewise, Madden began dating TV Personality Laura Whitmore in 2016, and later dated Suki Waterhouse at the end of 2016. Only after her relationship with Ms. Waterhouse ended, Richard then found Ellie in summer 2017 and dated till they recently broke up in January 2019.